Blissett, Luther. 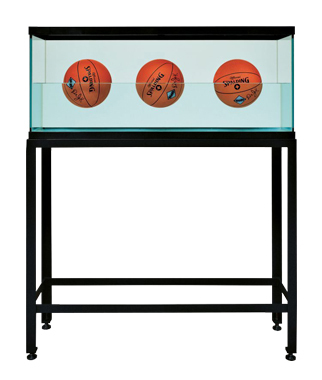 “Les obsessions majeures de Koons.” Beaux Arts editions December 2014, p. 28 [Dr. J Silver Series]. Art Gallery of New South Wales. Pop to Popism. Exh. cat., 2014, p. 261 [Three Ball 50/50 Tank (Spalding DR J series)]. Galenson, David W. “Precocious Prodigies & Late Bloomers.” The Art Economist July 2009, p. 72 [Two Dr. J Series, Wilson Supershot]. Gagosian Gallery. Pop Art is. Exh. cat, London, 2007, no. 99, illustrated in color. Siegel, Jeanne. "Jeff Koons: Unachievable States of Being." Art Magazine October 1986, p. 71, illustrated.